Michelle Nunn wants to be a Democrat senator from Georgia just like her daddy was. But for a candidate in a pro-gun state like Georgia, she has supporters who cast her in a troubling light. Former New York City Mayor Michael Bloomberg maxed out to Nunn’s campaign in the final fundraising quarter of 2013, this coming in the same year in which he called on donors to quit contributing to Democrats who oppose his pro-gun control agenda. In her campaign, Nunn now seeks to play the political outsider, a middle-of-the-roader who runs ads proclaiming her fresh face wants to bring new ways of doing things to Washington. Trouble is, there's a history from last year suggesting something quite different. Two prescriptions and a tank of gas cost me $300 tonight. Those who think only cops should be trusted with 'assault weapons' may be alarmed to learn how many real military weapons put in the hands of Georgia police and sheriffs departments have disappeared. WSB-TV in Atlanta reports lost, stolen or otherwise unaccounted for weapons include four M-16 military rifles, seven M-14 military rifles, thirteen .45-caliber handguns, and a .38 Special. That's the lead topic (as of this writing) for Friday, May 2nd's Don and Doug program. 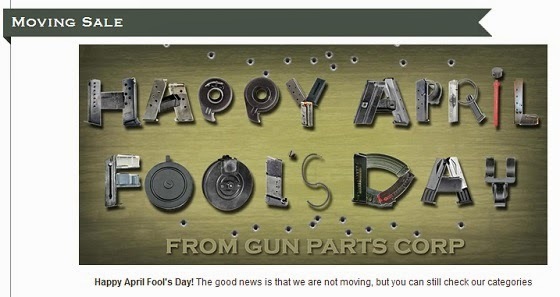 Actually, the issue here appears to be bigger than Nerf guns. Apparently all it takes to warrant a citation for disorderly conduct today is to be a kid playing outside and be just loud enough for a neighbor to notice. Report: BLM is carrying out an Obama "Climate Action Plan"
It seems the federal Bureau of Land Management brags of its plans for the desert land that it's wresting from people like the ranchers who've been grazing cattle there, sometimes for a century or more. Before 2009, there were no solar projects authorized on public lands. As part of President Barack Obama's Climate Action Plan to reduce carbon pollution and increase renewable energy in the U.S., the BLM has a goal to approve 20 GW of renewable energy production on public lands by 2020. Of the 51 projects approved so far, 28 are solar. The BLM also has designated Solar Energy Zones, 285,000 acres of public land in Arizona, California, Colorado, Nevada, New Mexico and Utah that serve as priority areas for these large projects. The approval process includes reviews that show the projects will not interfere with animal conservation, water-saving efforts and other environmental issues. However, in typical progressive Democrat fashion, it appears private sector ranching (raising beef to feed the American people) gets crushed under the plan. Meanwhile, beef prices have risen to all time highs in the U.S.
Planning to keep Americans fed at affordable prices apparently isn't part of the BLM's new formula. Update: BLM is targeting more than ranch land. Now it reportedly wants to grab a campground from the Boy Scouts. "Cops and cop cars, 1938 and 2014"
"Either their vehicles are getting bigger or the cops are getting smaller. Wink wink." This time it was to Honda's robot in Japan. Same president dissed American ATMs a few years back. The new law expanding "gun rights" in Georgia continues to send panic through the progressive political ranks. E. J. Dionne at Real Clear Politics is among those crying wolf, and to apparently expecting immediate masses of carnage in the streets of our Peach State. The New York Times found that in the 12 months after the Sandy Hook shootings, 39 laws were enacted tightening gun restrictions; 25 were passed by state governments under full Democratic control. Seventy laws were passed loosening gun restrictions, 49 of them in Republican-controlled states. According to The Wall Street Journal, 21 states strengthened firearms restrictions in 2013, and 20 weakened them. The stats show promise. Despite their best shot, progressive gun-control fanatics seemingly were only able to deliver in the bluest of blue states. Dionne also fails to mention the mass civil disobedience now occurring where some of the more restrictive gun control laws were passed. 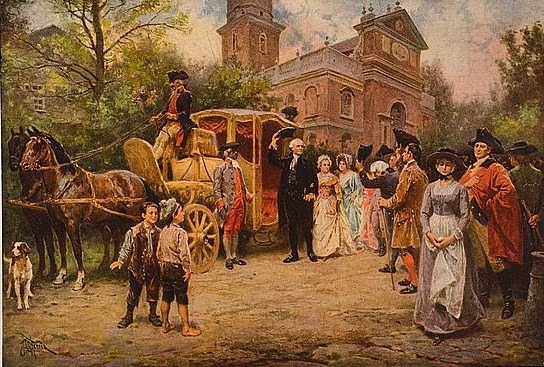 Connecticut, for example, still sidesteps enforcement of its new registration requirements amid estimates that up to 100-thousand residents are in willful non-compliance. Estimates of non-compliance in New York range as high as a million gun owners. The Left may still brag about new gun control restrictions passed last year. But if the states are afraid or otherwise unwilling to enforcement their new laws, it speaks volumes of how out of step they are with people living in those jurisdictions. At least four people were killed and 27 others wounded within 16 hours across Chicago. Exactly 14 days after his murder case was dismissed, a South Side man was arrested after running from Chicago police and dropping a handgun, prosecutors said Saturday. Meanwhile, the New York Times and others on America's political Left have spent most the past week acting like an old white rancher in Nevada is, or at least exemplifies, America's biggest social and/or criminal problem. The LA Times takes notice: It appears someone is now supplying at least one rebel faction with U.S. made TOW missiles. NPR reports the CIA has opened a pipeline for all kinds of goodies. No one at the White House will officially admit it, but we may well be sitting on the cusp of a widespread conflagration. To suggest otherwise is simply naive. The chess game is, without a doubt, in full swing. I'm not in the camp that sees WWIII just around the corner. At least not yet. Still, it worries me that Putin knows he and Russia may never get a mushy-squooshy opponent like Obama ever again, and the Obama window is closing. Why not take full advantage? Meanwhile, I see Russia's ruble has been hit with some devaluations because of recent tensions. Some analysts think this will make Putin pull back. I suspect analysts fail to realize Purtin will make up a lot of this loss when he socks it to Europe next time Europe negotiates a natural gas deal. I tend to think Europe's economy is at far more risk here than Russia's if things continue to play out six to eight months forward. Question is, will something trigger a blow up before then? 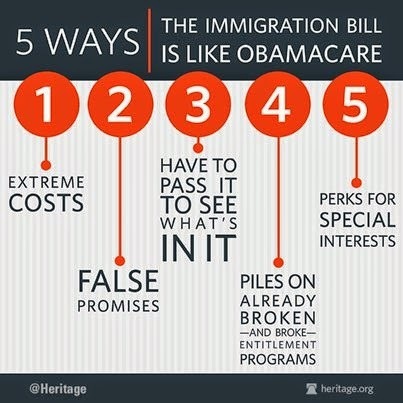 Here are ten counter points to the most touted lines used in pushing immigration reform. You may have read about it, but you should take time to see video of Speaker John Boehner mocking fellow Republicans of the House for their reluctance to follow him into a rush for immigration reform. The man shows complete contempt for those elected conservative representatives who don't want to rush down a stealthy but progressive path to national ruin. When John Boehner mocks fellow Republicans in the House, he's also mocking the Republican voters who put them there. Boehner seemingly forgets they're supposed to be our representatives, not his lackey foot-soldiers. Gotta watch it when the state starts bragging on comprehensive. Local news in Las Vegas says some at Bundy Ranch fear their ranks have been infiltrated by federal agents working undercover. An atmosphere of uncertainty now surrounds the Bundy ranch. The so-called security guards aren't sure, but they believe it's possible federal agents are among them, posing as militia. Begs the question: If federal agents are infiltrating the Bundy ranks, is it merely to gather intel, or does someone in government envision false-flag antics to discredit those who've opposed the BLM. "In a word, liberal ideology so often proves more important than people. Noble theories about saving humanity offer exemption from worry about the immediate consequences for individual humans. In a personal sense, those who embrace progressive ideas expect to be excused from the ramifications of their schemes. For the elite who send their kids to prep schools and private academies, public charter schools for the poor are bad, given that they undermine the dream of progressive, union-run education that has turned into a nightmare for those forced to enroll in it." Ex-New York Mayor Mike Bloomberg's putting $50 million into his latest project pushing deeper, more restrictive gun control laws. But somebody beat him to claiming the name on Facebook. 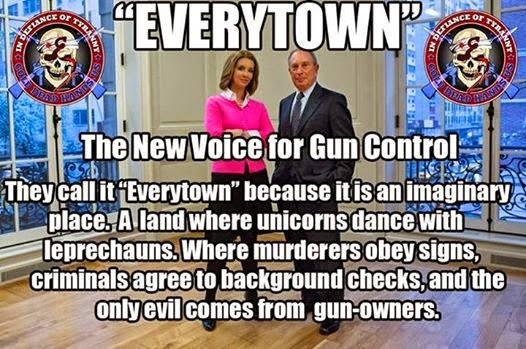 Former New York mayor Michael Bloomberg announced on Tuesday the creation of Everytown for Gun Safety, a major gun-control campaign that will combine some of his previous efforts. But a pro-gun group has already reserved that page on Facebook. The first post the group made proudly stated that it stole the name of Bloomberg’s group. 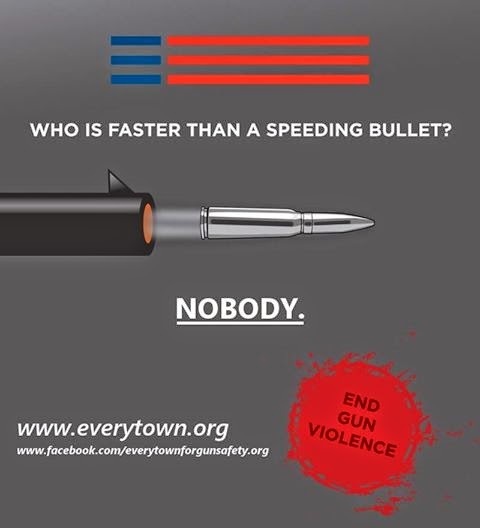 Here's the pro-gun site's Facebook link. The Bloomberg team has thus far failed to have it permanently banished. “Maybe they’d like to duel for it,” said Mark Glaze, the executive director of Everytown for Gun Safety. Odd suggestion coming from a group that claims its intentions are to end gun violence. 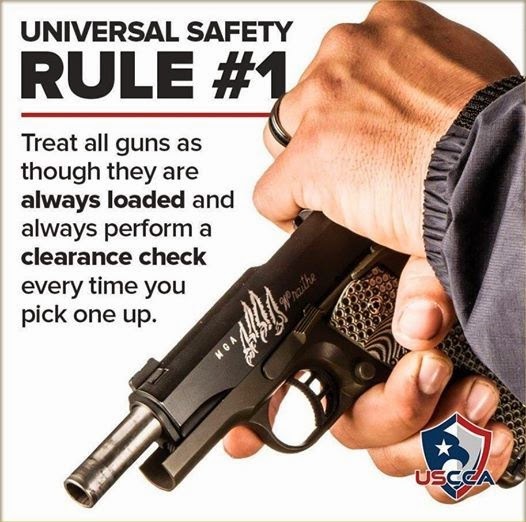 The Safe Carry Protection Act was passed by the Georgia legislature earlier this year. Governor Nathan Deal's office now says he'll sign the new law next week. But the signing won't be in Atlanta. Deal's taking the signing show north to Ellijay. From Investors Business Daily: "Beware The Increasing Militarization Of Government"
H/T: Sipsey Street Irregulars, which chose a different excerpt. Electricity prices hit record high. How much of the surge can be attributed to government coercion that forced closure of many low cost coal fired electricity production plants? If you fear a survey won't be favorable, why not just change the survey? "Improve the accuracy"? Somehow I suspect that means improve the spin potential. So, now they tell us faulty data was used inflate the numbers justifying Obamacare in the first place. Obamacare looks darker and dirtier with each new twist. Owen notes in an update the FAA has declared the ranch area a "no fly zone." I'd guess government wants to keep media choppers away. Makes it harder for media to get video that really shows how big the protests are getting. Also makes it harder for media (or others) to get video of cows or carcasses being hauled away. A recent magazine article with photos featuring Jay Carney's wife and family revealed some interesting artwork in the family's home. Update: If your're curious about what the posters say, look no further. Update II: What's up with the Carney's home bookshelf? Deemed too sparse for publication - or were titles covered to avoid embarrassment? The Las Vegas Review Journal, daily newspaper, is covering developments at the Bundy ranch. From Thursday: Bureau of Land Management takes down its "First Amendment areas" intended for protests. Wednesday's story: Militias "mobilizing" to support embattled Clark County rancher. So says Mike at Sipsey Street. Are there lessons to be learned from The Walking Dead? Or is this just his inner bully acting out? “You don’t want to go there, buddy! You don’t want to go there, okay,” Holder shot back. “I don’t want to go there?” the Texas Republican responded. “No,” Holder said, leaning forward in his seat. “About the contempt?” Gohmert asked. “You should not assume that that is not a big deal to me. I think that it was inappropriate, I think it was unjust. But never think that that was not a big deal to me. Don’t ever think that,” Holder said pointing at Gohmert. Video accompanies the Daily Caller story at the link here. Shipbuilding is just one of the trouble spots. Do you remember this warning from just a month ago? In a textbook approved by Common Core for use by students studying for the Advanced Placement (AP) history exam, the Second Amendment is defined this way: "The Second Amendment: The people have the right to keep and bear arms in a state militia." Finally, there is the description of the Second Amendment published in a book approved by Common Core for use in elementary schools. This amendment states that people have the right to certain weapons, providing that they register them and they have not been in prison. The founding fathers included this amendment to prevent the United States from acting like the British who had tried to take weapons away from the colonists. How can subsequent generations of Americans defend the Second Amendment (or the Bill of Rights, for that matter), if they don't understand it, and are deliberately misled as to the meaning? It's being reported six billion dollars in State Department funding was either misplaced or lost during Hillary Clintin's term as Secretary of State. The Clintons seem to have knack for misplacing things. Heck, even a misplaced moon rock turned up in some Clinton papers not too many years ago. First, a rash of financial pro suicides, most of them jumpers. And now a CIA guy? When's the Bloomberg gang gonna do something about all these tall, deadly buildings? How many stories are too many stories for us regular folks to be trusted with? Class envy and class war protests get gutsy in Oakland, California. Another site notes the splashy tactic. Odd. 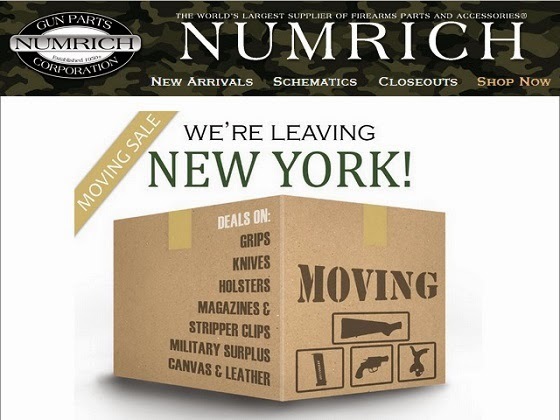 Numrich seems to think it's a good thing staying put in New York.